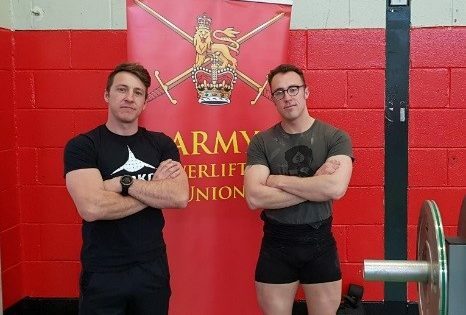 Corporal Robert Clark and Corporal Craig Dodsley both serve in 4 Mercian and entered the Army Powerlifting Championships in March and despite a lack of competition experience both will now go on to compete at the British Drug Free Powerlifting Association National Championships in May. 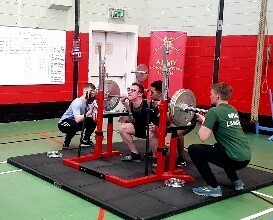 During the competition both the Corporals were required to do three different compound lifts, a back squat, a bench press and then finally a deadlift. The competitor’s heaviest lift on each exercise then counts towards the final score. There are many benefits to powerlifting that can compliment Reserve Service including, improved agility, increased strength, higher muscle endurance and it can also reduce the rates of injury from other physical pursuits. 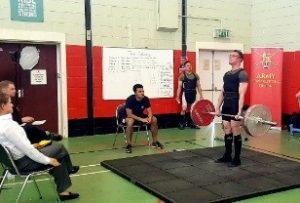 The two Corporals are now trying to encourage more 4 Mercian soldiers to take up powerlifting so that they can enter a full team into the Army Powerlifting Union next year.